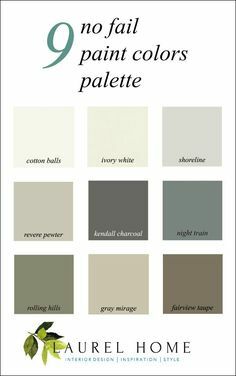 A recent home botox/paint consult inspired this post. There’s been much discussion on laurel home about the color white and white trim. 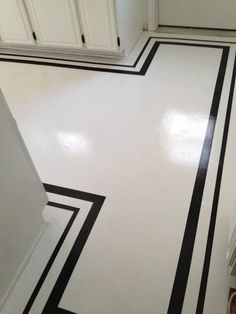 However, we don’t always use white for trim. Sometimes we use other colors and in more recent years, black is being used more and more in interiors. Therefore, I thought it would be fun to explore the use of black and as I love to do, go back in history to see how black was used. I came across this photo when I was searching for iron windows as my consult’s new home has iron windows from the thirties. This is the actress from the 1930’s Dolores del Rio and her husband Cedric Gibbons. He built this incredible home for her. I’m amazed at how modern it looks! Above is one window from the client’s home but the windows in the living room have a lot more of the heavy iron and are much larger windows. I love this diamond motif! People often ask me about current trends. Certainly, we are seeing a lot of black in our interiors. Is it something that’s going to go out of fashion? Will I regret it if I paint my walls black? Isn’t it going to make the room look smaller? The lobby of my favorite hotel. The JK Place Capri designed by the amazing Michele Bonan. I think that this actually a very dark green, but no matter. The deep color actually blends in better with the gorgeous view. Love this fabulous space by Windsor Smith! Inside the same apartment. Jenna used much black throughout the apartment. It was classic, yet urbane and sophisticated. The end result. That has to be the chicest nursery I’ve ever seen! The color they chose is Benjamin Moore BABY SEAL BLACK 2119-30. It is a very cool black with blue undertones. Fabulously talented young interior designer. Please check out her beautiful portfolio. Many of her rooms incorporate a fair amount of black. Love the painting with just enough color to cut through the black and freshened up with the white. Fabulous modern black and white bathroom! Love the herringbone white tile pattern. Gorgeous blog too, by Sarah Sherman Samuel. Please check it out for a ton of delicious room candy! In answer to the question, will black or another really dark color make a room look smaller? The answer is no and here is why. Dark colors recede and light colors appear to come forward. Therefore a dark color will make a wall look like it’s further away than it is and a light color will make a wall look like it’s closer than it is. It’s the same principle with dark clothing and light clothing. A dark color, however, will make a room— well, darker, duh. Dark colors absorb light. Light colors reflect it. Won’t it make the room look like a cave? Well, sure. If you have a narrow boxy room with few windows and nothing on the wall. It will look like a cave for sure. Black and dark colors in general when used as a wall color are better for smaller rooms– under 200 sq. feet. Black loves warm tones. So, yes to wood. In all honesty, I have less experience with black than any other color. I live in the burbs and I used to REALLY live in the burbs as in horse farm land until 2.5 years ago. Therefore, the shades of black I am recommending have come through research. MOPBOARD BLACK – CW – 680 This is a pretty soft black which runs neither warm nor cool. What about you? Do you use black in your decorating? Would you? If so, do you have a favorite black you can recommend? Or any that you tried that turned out not-so-great? Please share in the comments! We Bought An Ugly House, But The View Is To Die For! Firstly thank you for your amazing site. Part of my life each year is lived in a 1132 tower in France in which we are in the throws of renovating. Having said that it is the kitchen which offers the conversation of ‘black’. We have designed and had built a large (3mtrs high) kitchen cupboard in a very dark grey/black. Our walls are 2mtrs thick stone comprising granite and quartz so the walls are a no-go zone for change other than artwork. At the present moment (as I type) the men are preparing the old tiles to receive a new topping of Pandomo which is a resin floor resembling polished concrete. For our installation the benefit is that the finish is 6mm and with that our in-floor heating is not compromised and the other benefit is that the existing tiles do not need to be lifted. We are choosing to have a black/grey granite colour which has a satin finish to enable the reflected light to contribute to the internal lighting (fingers crossed). To support this we have changed all the doors (5) which were large wooden frames with glass to dark slate grey aluminium. This one change has added an air of distinction and more importantly the doors will now close and not be affected by the heat differentials given by our summers and the snow in winter. I love the grace that black offers. I must say I completely agree with Mary from Mississippi! I’m new to your blog and never tire of beautiful art or beautiful design. Throw in some history as well and I’m a goner. It is obvious you put much thought and research into your posts and you are so informative! You have another fan down South in Georgia! Hi Laurel, I used BM onyx in a powder room with very little light, Inspired by a bathroom by Mark D Sikes. I adore it! Also, used onyx on the windows in my kitchen that are French casements and “read” iron because of the black. Also, just finished my master bath with the onyx on the ceiling. It is great but with all of the white in the room it has a bit of brown. We just finished the room and there is a lot of foliage so may appear blacker in the winter. Our new detached garage is almost finished and we used BM Racoon Fur on the board and batten exterior. It is a showstopping color. We don’t see even a hint of blue. I researched the additives of the BM charcoals and thins one seemed least likely to read blue and it doesn’t. Spoke to BM “experts” and they couldn’t answer which colors didn’t have a blue undertone…The Racoonn Fur is perfect! Thank you for the recommended BLACKS! Black is jazzy and dramatic. list of what BLACK loves! I appreciate your candid approach to design. Very, very helpful. The Shaker style kitchen cabinets will be……drumroll…….BM OC-17!!!!!! Easy decision after reading your post. Hi Laurel, I enjoy your blog very much…I can’t remember how I found you, but I love every post! I like and use a lot of the BM colors you have recommended, and I also LOVE Farrow and Ball paints…(my painter less so…but he is a bit of a diva, lol) I have not used onyx or iron mountain from BM but have been wanting to try them…..I have been using quite a bit of black lately, and my absolute, never-fail black is F&B Off-Black…..charcoal-y warm black….I highly recommend it! Oh, wow! Thank you so much Mary! Maria is such a delight, isn’t she? I did study a lot of art history and it was my favorite subject.